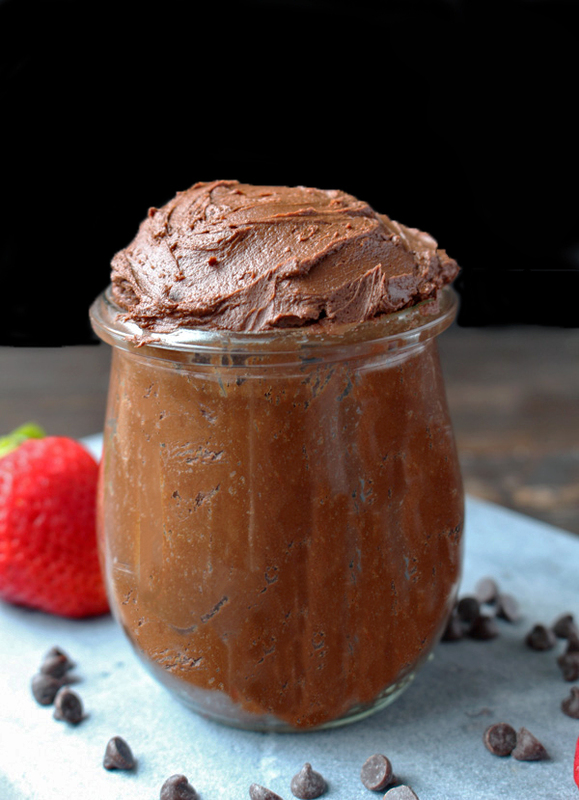 This Paleo Chocolate Frosting is super easy to make, and so rich and creamy. 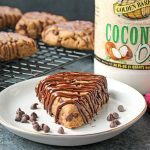 Only 5 ingredients, dairy free and so delicious! 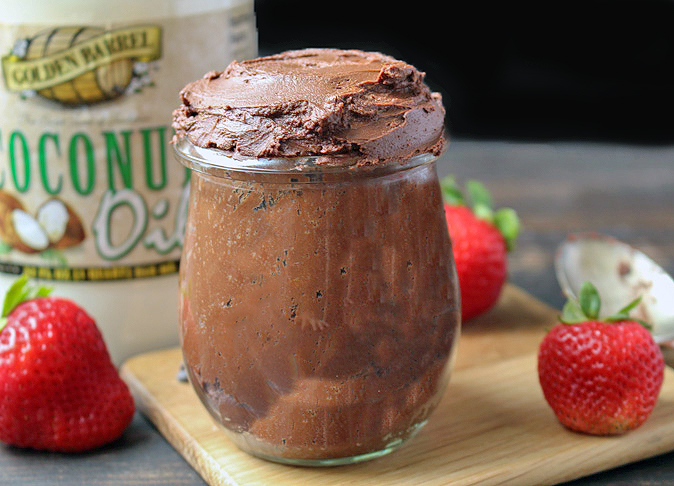 Spread it on cakes, cookies, cupcakes, or eat it with a spoon. My daughter’s second birthday is coming up in a few weeks and I’m making her a chocolate cake with chocolate frosting. She loves chocolate so I thought it would be perfect. I needed the perfect frosting that would be easy and delicious and that is how the recipe came about. It took a couple tries to get just right and the results are just what I was looking for. 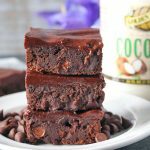 This recipes is completely dairy free thanks to the coconut oil and almond milk. 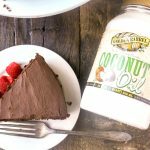 I like Golden Barrel’s Coconut Oil because it is refined and doesn’t have a coconut flavor. It doesn’t interfere with the chocolate flavor. 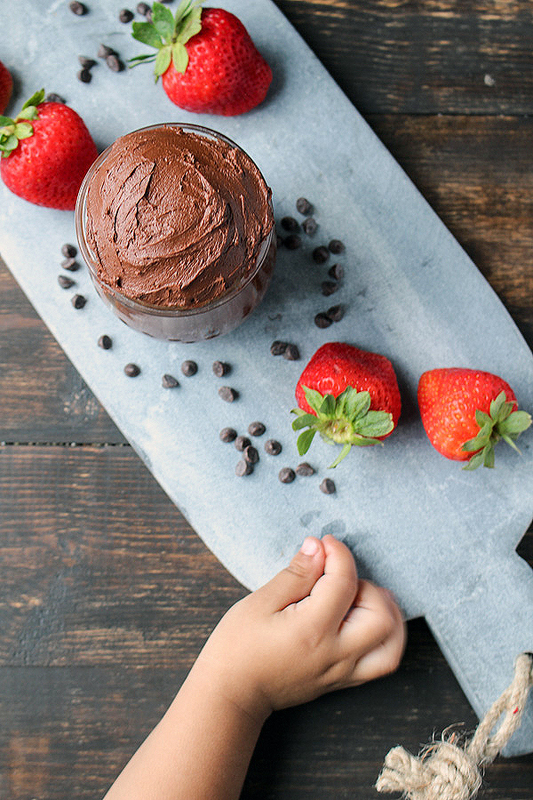 There is a little refined sugar in the dairy free chocolate chips, but if you really needed it to be refined sugar free then you could use Eating Evolved chocolate bars. 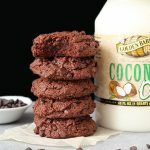 I love their chocolate and they are sweetened with coconut sugar. Semi-sweet chocolate chips are best used for this. 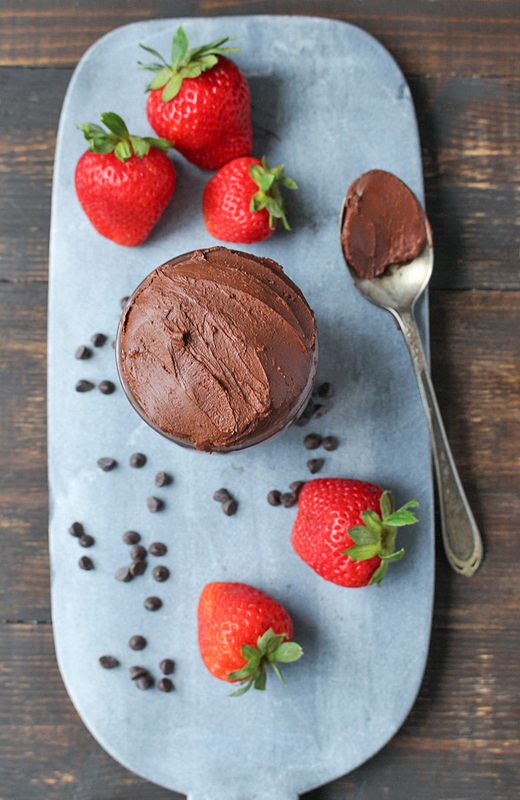 Frosting is meant to be sweet, and the dark chocolate just wasn’t as frosting-y. If that makes sense. You can of course taste it as you go and adjust the sweetness. If you like it a little darker then go for it. If you’re going to use honey, it will taste great, but won’t be as smooth. Honey can get grainy looking, but it doesn’t change the flavor. The maple is what is used in these pictures and creates a smooth, silky frosting. This comes together super fast. 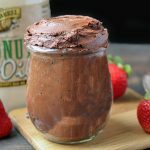 The chocolate and coconut oil are melted together (using a microwave or stovetop) then the milk, vanilla and sweetener are added. Then it’s chilled in the fridge for about 30 minutes if needed right away. Otherwise let it stay in the fridge until needed. It will harden in the fridge so let it sit at room temperature for 15 minutes for microwave it in 5-10 second intervals until smooth, but not warm. Another great thing about this frosting is that it stays good at room temperature. It doesn’t get too soft or liquidy. 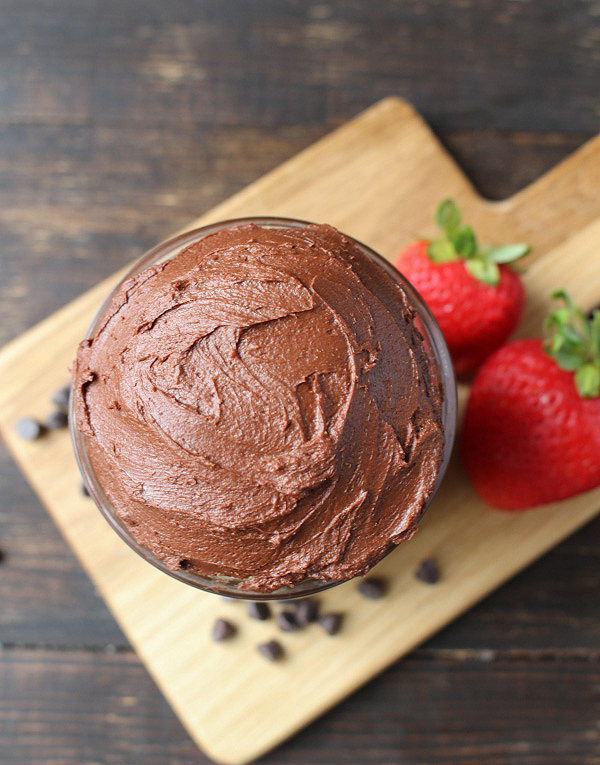 This Paleo Chocolate Frosting is perfect for any cakes, cupcakes, or cookies. You could even use it as a dip for fruit. In a microwave safe bowl (like a glass measuring cup), combine the chocolate chips and coconut oil. Melt in the microwave in 20 second intervals, stirring each time, until completely melted. It should take around 60 seconds. Add the almond milk, maple syrup (or honey), and vanilla to the chocolate mixture. Stir until completely combined. Cover and place in the fridge about 20 minutes. Enough to cool down, but not harden. Can be made ahead and stored in the fridge. To use, warm in the microwave 10 seconds at a time until just soft, but not warm. This can be made on the stove if preferred. 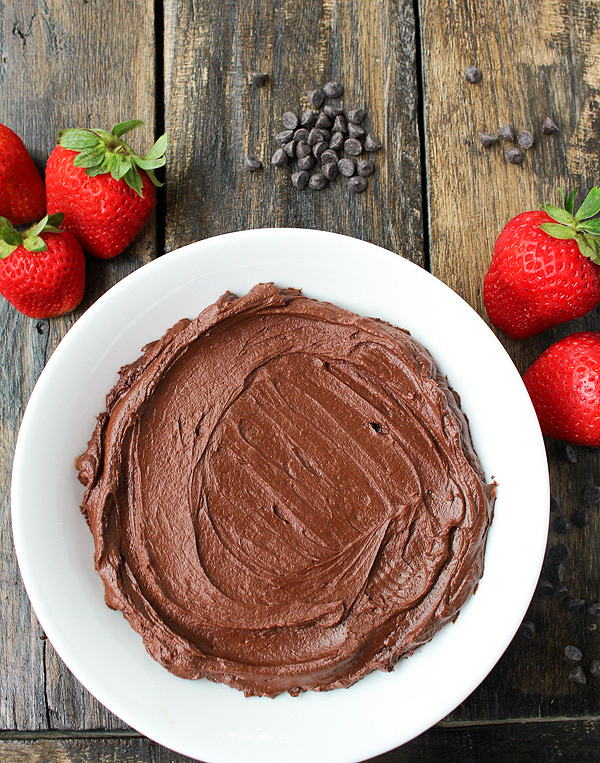 Mix the chocolate chips and coconut oil together over medium-low heat until melted. Remmed from heat and add almond milk, sweetener, and vanilla. Maple syrup makes the smoothest frosting, but honey also tastes very good. Both will work. This looks incredible. The texture looks just perfect! This looks fabulous. Thank you Jessica for all you do. You are an awesome cook. Thank you so much, Patricia! You are so kind! Mine looks nothing like the picture, it’s much more smooth, but it’s yummy!!! 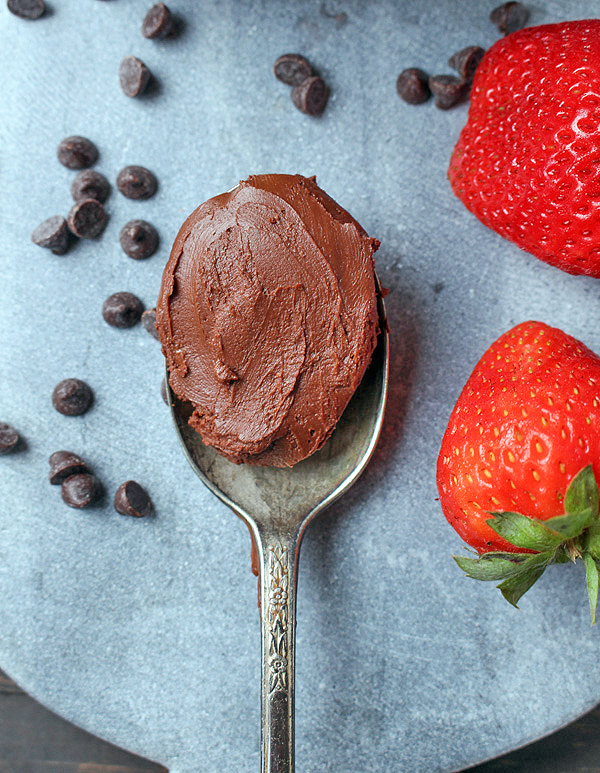 Finally a frosting that doesn’t involve a ton of sugar! Thanks for trying it, Evy! I’m so glad you like it! Thank you for this recipe. It magically becomes frosting as you stir it up!!!! The chips I used have zero emulsifiers! I figured if it separated I would drop an egg yolk into it……not necessary – smooth as silk. I’m so happy!